Door Shakespeare is stepping into 2018 with a new leader at the helm. The Door Shakespeare Board of Directors recently announced the hiring of Michael Stebbins as the company’s new Producing Artistic Director. Stebbins, a Kenosha, WI native, spent eight years as Rep Stage’s Producing Artistic Director in Columbia, MD, where he championed the works of up-and-coming playwrights and also programmed long-forgotten chestnuts. Prior to that, he worked with theaters ranging from the Tony Award-winning Berkeley Rep in California to off-Broadway’s Mint Theater Company, and theaters in many states in between. And when it comes to the Bard, he’s had many opportunities to work with the material, having acted with Baltimore Shakespeare Festival and the Maryland Stage Company, as well as producing professional productions of classics such as “Hamlet”, to contemporary plays with a Shakespearean twist, such as David Davalos’ “Wittenberg”, which was nominated for several Helen Hayes Awards, to teaching Shakespeare in the classroom. His directing has received praise from “The Washington Post”, as has his acting. He has produced, directed or performed in many critically-acclaimed productions across the country. A graduate of the Professional Theatre Training Program at the University of Wisconsin-Milwaukee, Stebbins continued his study in New York, under the mentorship of Walt Witcover, a former protégé of Lee Strasberg and Uta Hagen. Over the years, he’s taught acting courses at the University of Maryland- Baltimore County, Howard Community College in Columbia, MD and other venues. Stebbins returned to Wisconsin in 2014 where he first appeared in Theatre Gigante’s “My Dear Othello”. He will be featured in Skylight Music Theatre’s upcoming production of “Urinetown”. “We are excited to welcome Michael to the Door Shakespeare family. His experience in the world of theatre – both administratively and artistically – his connection to artists on the regional level, coupled with his passion for what he does and his love of Wisconsin, is exciting and invigorating. We are very enthusiastic about this next chapter in Door Shakespeare’s continued growth,” said Board Chair Sam Perlman. 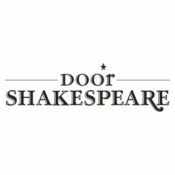 Door Shakespeare also announced their season for 2018, presenting William Shakespeare’s “Much Ado About Nothing” and “The Comedy of Errors”. Joseph Hanreddy is returning to direct “Much Ado About Nothing”. Hanreddy is familiar with the Door Shakespeare stage, after directing highly popular productions of “Twelfth Night” and “A Midsummer Night’s Dream”. Leda Hoffmann is set to direct “The Comedy of Errors”. Hoffmann’s previous Door Shakespeare directing credits include “Romeo and Juliet” and “The Tempest”. The summer offerings will run from June 28 – August 18, 2018. Additional details regarding the Door Shakespeare 2018 summer season, including cast lists, will be released shortly.